Oh CeliaB, you did it again! This Spanish designer owns my heart for making bold and life-affirmative designs. Every one of her collections is a firework of vibrancy, fun, and careful craftsmanship. 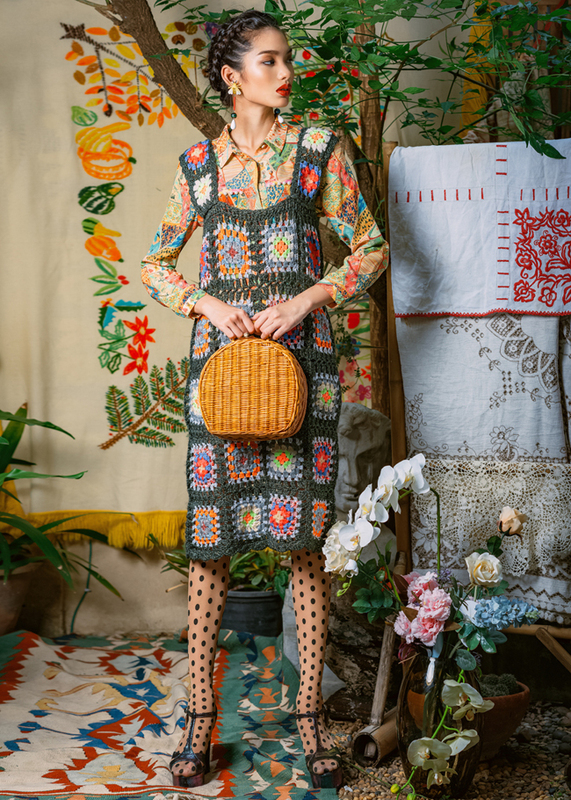 CeliaB's newest collection "Latin Lover" is a collaboration with Argentinian artist and illustrator María Luque. The two women met during Celia's trip to Argentina, and the result of the encounter are beautiful prints exclusively for "Latin Lover." 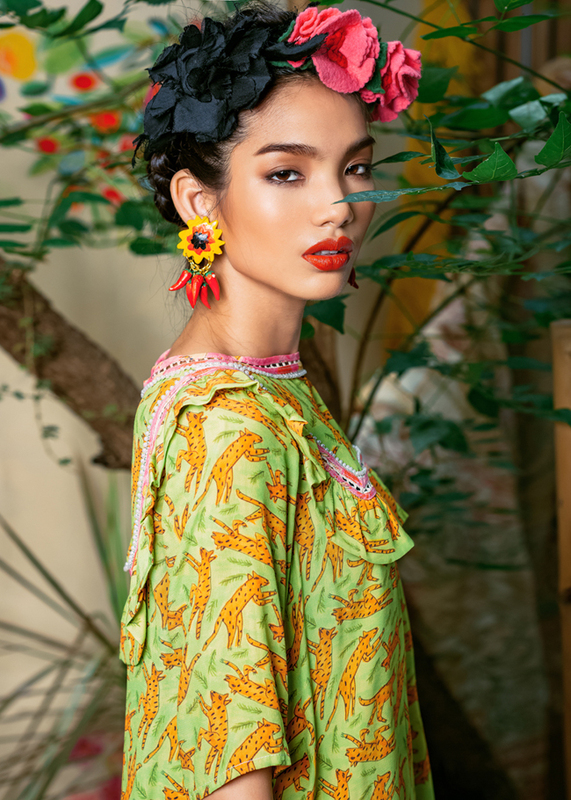 This collection is an ode to Latin American culture and in particular the Andean region art. While Celia's designs have a strong Asian influence, the prints enhance them, so the two cultures build together a bridge between continents. 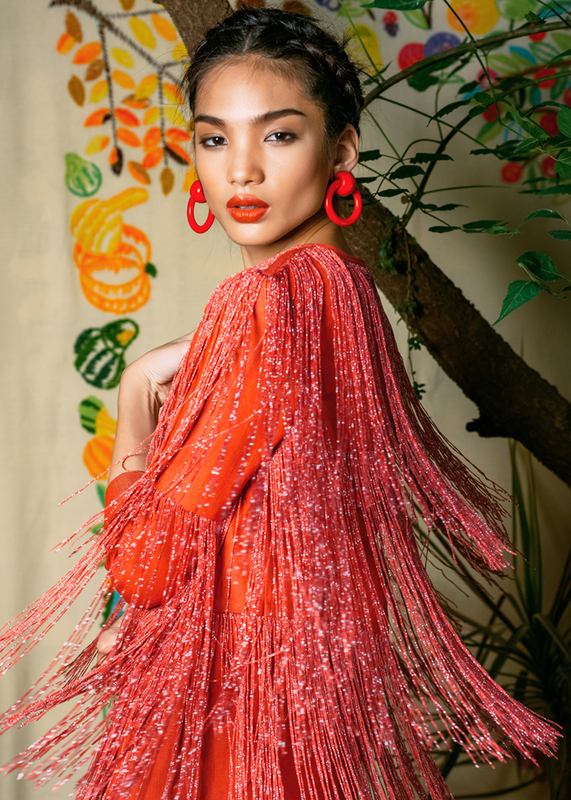 The clothes come in CeliaB's habitual silhouettes, volumes, ruffles, and details, all expressing her Latin origins. What I love most about this collection is the strong expression of playfulness, an important part of CeliaB's work. The commitment to sustainability of the label fits very well my philosophy and what I believe fashion should be nowadays. Whenever I wear Celia B I feel strong and powerful, just like a modern Amazon. So here I am, dreaming of jaguars, dancing Latinas and autumn in Argentina. CeliaB, thank you for fulfilling my need for more colours, that's just what the world needs!